Twitter, reading Blog posts and writing a Blog have had a huge impact on me professionally over the course of the last 8 months. Twitter is a marvellous platform for sharing and nabbing other people’s ideas, networking and engaging in educational debate. You will also find that people use Twitter to tweet out links to their Blog posts. This form of CPD has the potential to completely revolutionise the way schools/teachers tackle their Professional Development, the shift away from having CPD ‘done to you’ and the onus on the individual seeking out their own PD is a hugely exciting development. Not convinced? Read the following by Joey Bagstock on ‘What Blogging has done for teacher CPD’..
Below is a bit of advice from me for ‘Blogging Beginners’…. 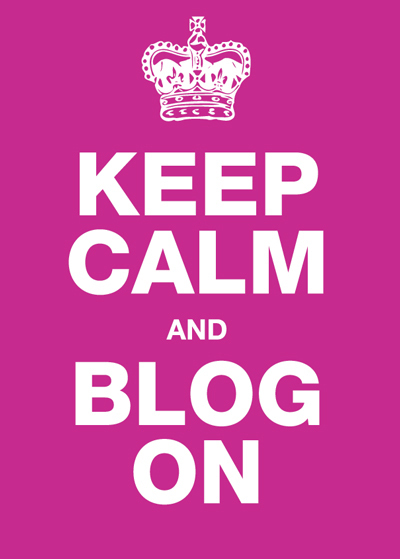 Blogging is a fab way of sharing your own teaching ideas/strategies. Get your own ideas out there on the www. Be careful about what you write, remember you are what you tweet. Do not name individual students or speak negatively about your school. If you quote directly from someone else’s work, make sure you acknowledge them. If you haven’t already, join Twitter. Develop your own personalised learning network and share your work with others. Tweet out the link to your Blog post 3 or 4 times, at different times of the day and on different days. With the link include a sentence of what the Blog post is about, make it sound interesting! Read the comments sections on popular Blogs. The debates between teachers can be really interesting and it has helped to crystallise my own thoughts on educational matters. Do not give up! Blogging can be time consuming with little reward but you will get better at doing it with practice and it is great for your own development. Get your students blogging also, I have found it highly motivating blogging for an audience and they will too. In Humanities we are have set up a Dept Blog using the platform, ‘Kidblog’ and are going to have a go at ‘Quint Blogging’. We have made links with four other schools, 3 UK based and one in Abu Dhabi. The idea is we will complete some work with our students that they will produce on the Blog, and then students from each school will peer assess each other work from across the globe. All very exciting! It is an expectation at SRS that all Depts/Year team will make a contribution to our Teaching and Learning Blog, through our Monday, ‘Tweak of the week’. This is a platform for sharing generic teaching and learning strategies/tips and best practice. The Tweak of the week rota 2013 2014 will tell you when it is your turn. Middle leaders you will find detailed guidance for using WordPress in your Leadership Handbook, any tech problems with using the Blog then see me and I will attach it for you.